We provide quality formulations with customize packing as per client demand. 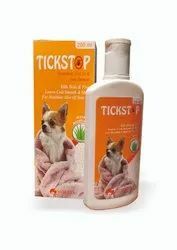 We mainly involve in manufacturing of veterinary Bolus, Tablets, capsules, feed supplements, syrups, suspension, Injections, ointments, gels & creams and Spray. Also all types of Herbal medications including Herbal powders, ointments, creams, Ayurveda medicines to all Cattle, Poultry, Pigs, Equines and all Companion animals. We operates in all the therapeutic segments like Anthelmintics, Endectocides, Ectoparasiticides, Antiprotozoal, Anti- Infective, antibiotics, IV Fluids, Anthelmintics, Analgesic & antipyretics, vitamins & mineral mixtures, Feed Supplements, antiseptic and disinfectants.